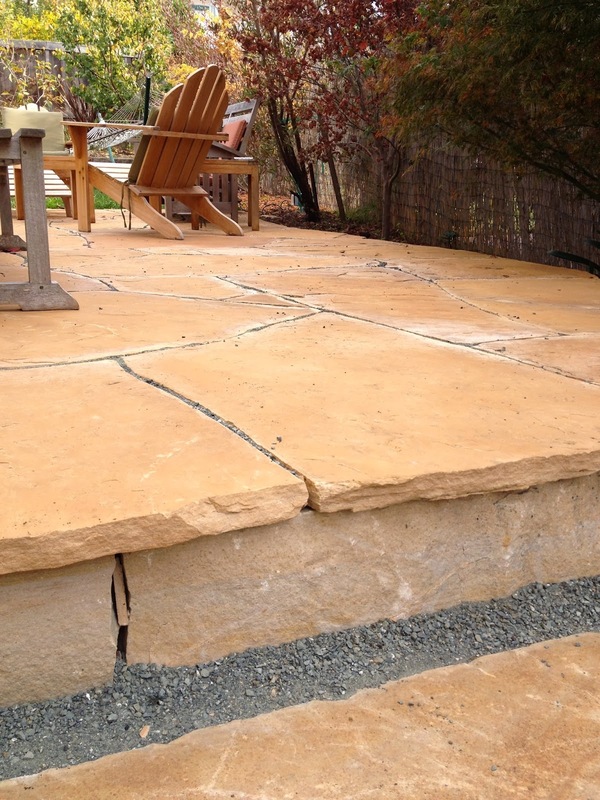 Incorporating stone into the garden is a great way to add structure, natural interest and habitat. 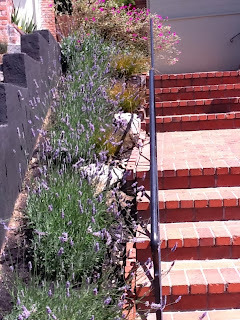 It is also a great option for walkways, patios and steps. 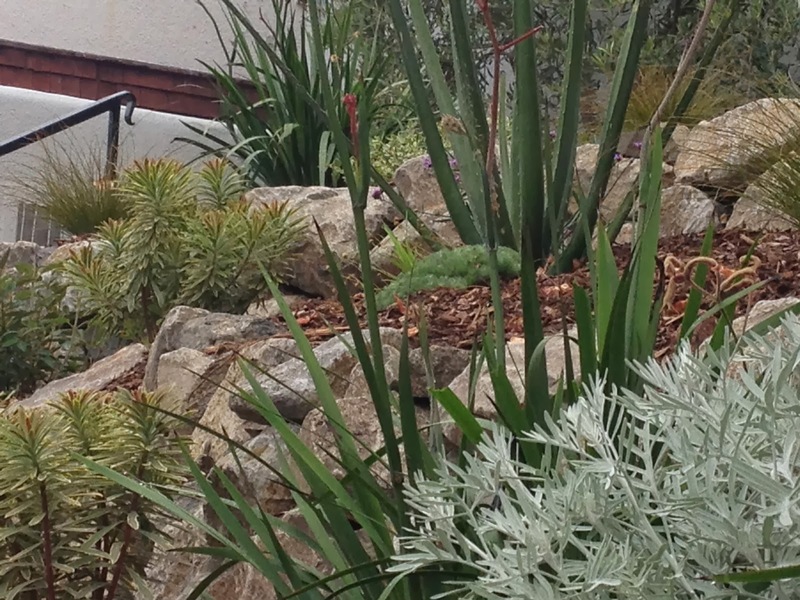 A Napa stone retaining wall supports this drought tolerant garden. 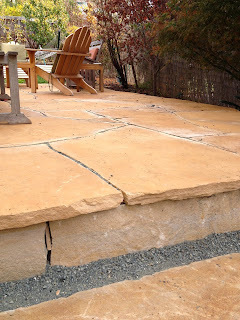 Above is an Arizona flagstone patio with Utah ledge step. 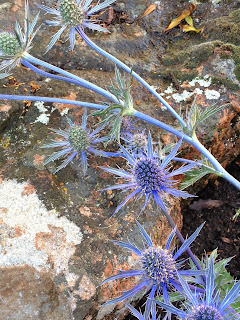 A Moss rock stepping stone sets off the electric purple of an Amethyst Eryngium. 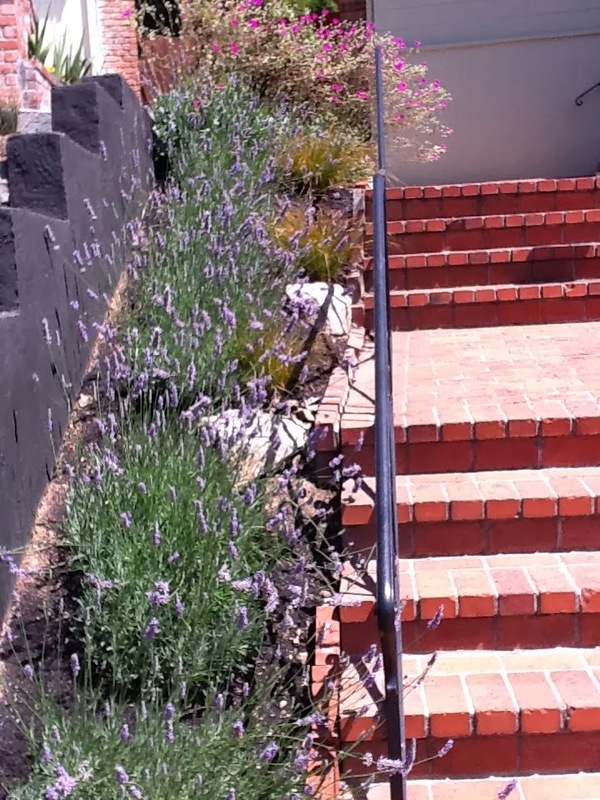 Napa boulders add structure and soil retention to a slope planted with Lavender. 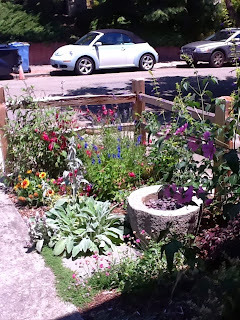 A Granite water bowl is a favorite play spot for the young ones who reside here.